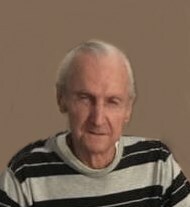 Richard L. Drummond, 76, of Quincy, Illinois passed away Monday April 8th at 12:28 P.M. in Blessing Hospital surrounded by his loving family. Richard was born March 18th, 1943 the son of Charles A. and Evelyn Howerton Drummond. He married Traci Jean Ulrich on August 12th 1990 in Quincy. She survives. Richard was employed as a maintenance worked at the Illinois Veterans Home for four years. He then was employed at Gully Transportation repairing trailers for 17 years before retiring in 1997. He collected 164th scale model truck and trailer toys. Richard enjoyed hunting, fishing, working outside planting flowers and taking care of the yard. He and his wife Traci liked to watch the wildlife in the Deer Park at the Illinois Veterans Home and drink a cup of coffee. Survivors include his wife Traci of Quincy; two daughters, Crystal Jean and Melissa Jean; twosons, Richard A. Drummond and Roy Lee Drummond. Also surviving is two sisters Vivian Miles of Quincy and Bernice Nichols (Richard "Jack") of Hannibal, MO; a brother A. Frank Drummond (Joan) of Quincy and many grandchildren, great grandchildren, nieces and nephews. Mr. Drummond was preceeded in death by his parents, four sisters Edith Cookson, Shirley Cookson Dorothy Arnold and Mildred Donhardt. Visitation will be held Friday morning from 9:00 until 10:00 a.m. in the Zehender Robinson Stormer Cookson Funeral Home. Graveside services will be held Friday morning at 10:15 a.m. in Sunset Cemetery at the Illinois Veterans Home with Pastor Steve Disseler officiating. Military honors will be conducted by the Illinois National Guard Funeral Honors Detail. Memorials may be made to the Family c/o Zehender Robinson Stormer Cookson Funeral Home.